I mean... I’d potentially buy a Bonesaw... but I get your point. Ahh, well at least the weirdness of the other pic is cleared up since you can see Rodan’s neck is bent down to remove negative space. Really cutting corners on this mold. The way you guys are complaining is legit and makes sense. Plus there is some wit to it and it is for the most part constructive. It has more to do with the (some now deleted their tweets) of people claiming they will never buy a NECA figure again. That to me sounds like a childish temper tantrum. 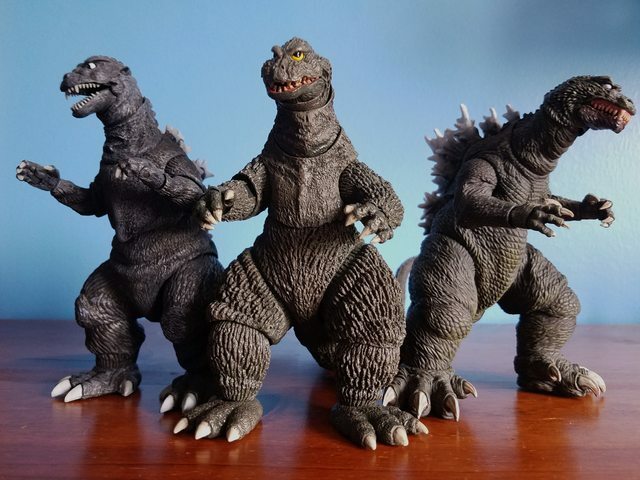 I understand how it would bum some people out because that means the best "high end looking" figure would probably be either X-Plus or MonsterArts which probably won't be less than $170 etc... When I heard they weren't making one I went, "wow really?" I was genuinely surprised that they weren't making that figure. I haven't looked into the situation since last week but I am curious what the business decisions were. 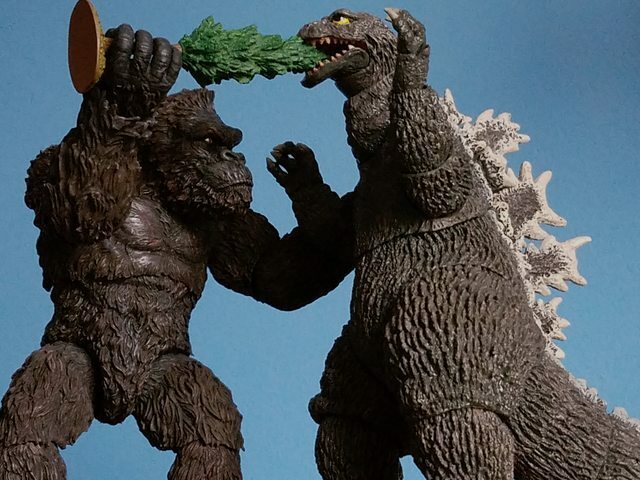 If I had to take a guess the cost of making the figure and packaging vs. what Toho(maybe WB/LP) takes out of the figure's profit doesn't make it financially feasible to make. I've no doubt it's all about cost, not that they don't think he'd sell or anything like that. 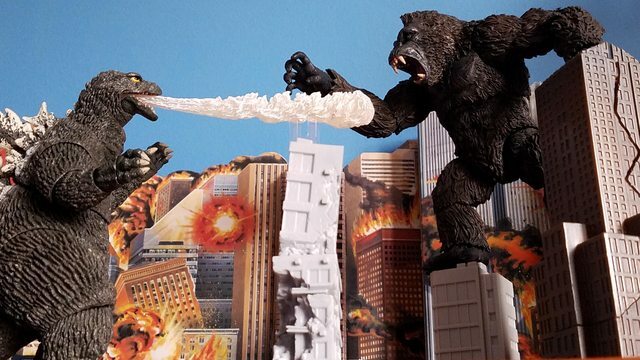 If that were the case they wouldn't be making Mothra or Rodan either. 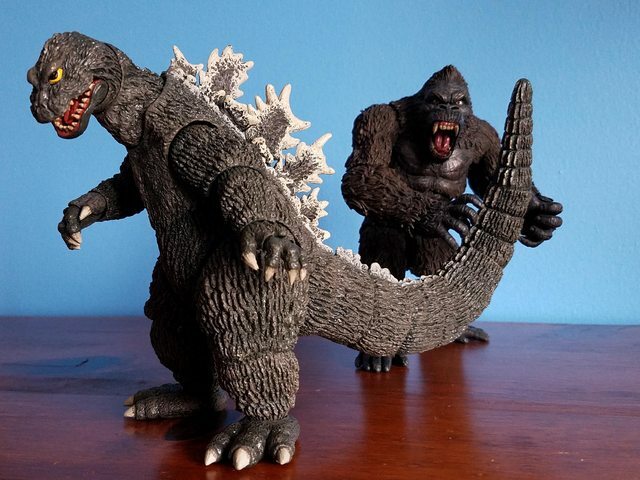 NECA likes to keep their figures in scale with others from the same series (as Mothra and Rodan are with Godzilla) and also look to re-use parts for other figures whenever possible. 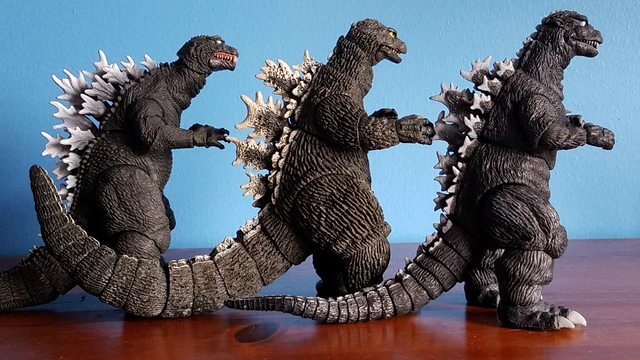 That'd mean Ghidorah would have to be huge, at least twice as big as their KotM Godzilla figure, and they probably wouldn't be able to offset the cost of such a figure by using some of its parts later on down the line, as they have with their Alien Queen for example. Plus the necessary price would probably push it into "super duper premium uber loadsamoney" territory, and potentially out of reach of people who just want to collect all four main monster figures at a non-super expensive price. So yeah, disappointing for some no doubt, but I'm not entirely surprised by the decision. 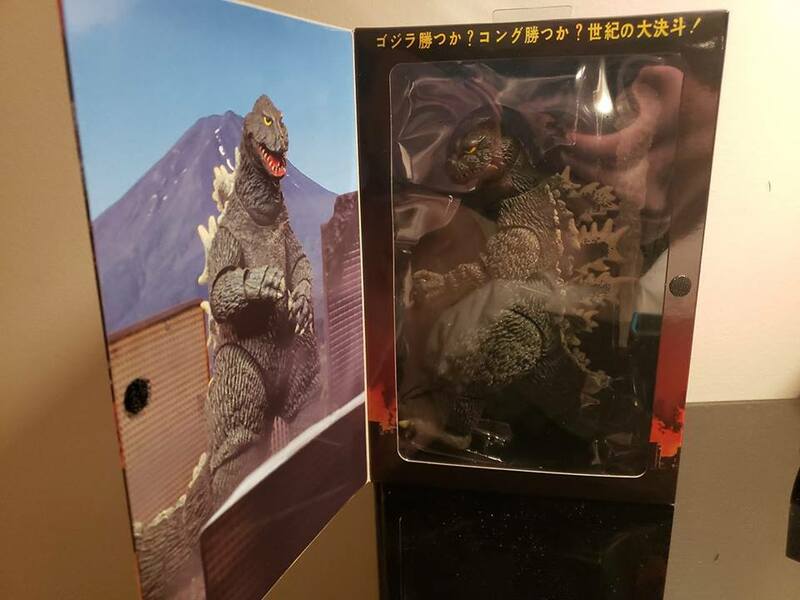 I just got my '62 Godzilla in the mail and couldn't be happier with my purchase! Had to take a hair dryer to him to loosen up his jaw and arm joints (plus that tail ball-joint takes a bit of warming up and elbow grease to fit in!). Really love that he comes with a breath accessory and the packaging is gorgeous! 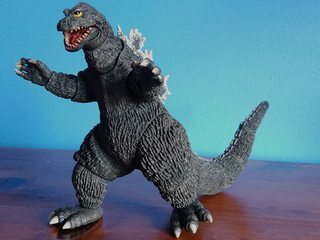 I skipped out on NECA's G'54, G'85, G'94 and GMK Goji figures (their Shin Goji left something to be desired too) but this is a huge step-up! 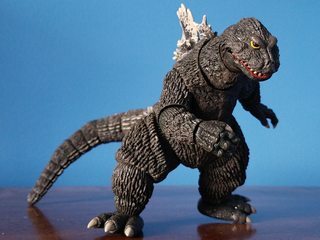 Here's hoping we get another Showa-era Goji or MireGoji next! Not trying to be that guy, but they told us back in Oct that they now have the ability to use any monster in Toho's library. The bigger question is, will we? I must have missed that. 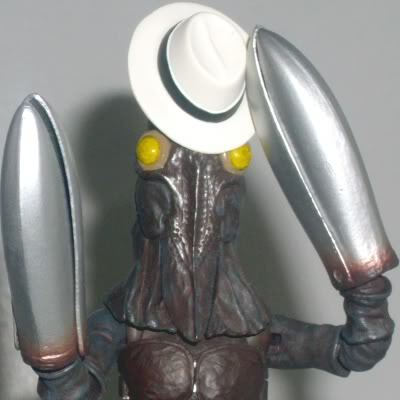 Guess it'll be less of a surprise if and when they announce any other Toho monsters in the future then. 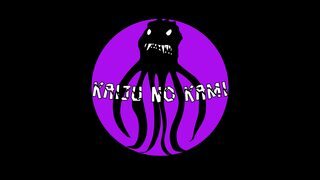 Though Randy also tweeted a bit before that that the only classics they currently have the rights to are the ones featured in KotM, so I guess we won't be seeing others any time soon. 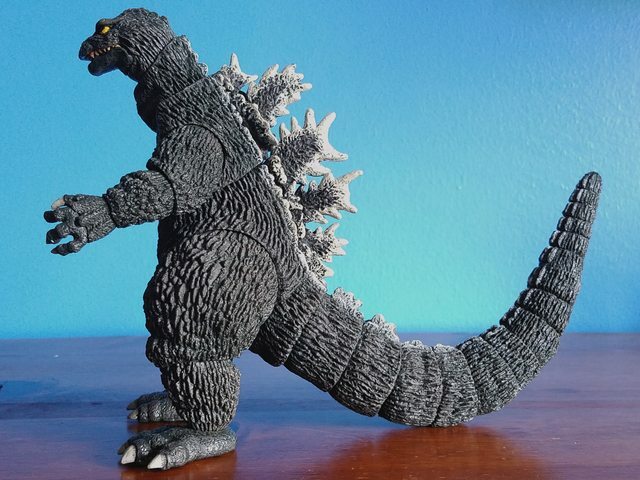 Saw the reissued big NECA Godzilla '14 at a Books-A-million today. SO my Target just eliminated their NECA display and clearanced off all of their products. 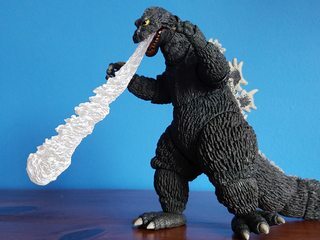 No wonder they never got Godzilla 62 in. 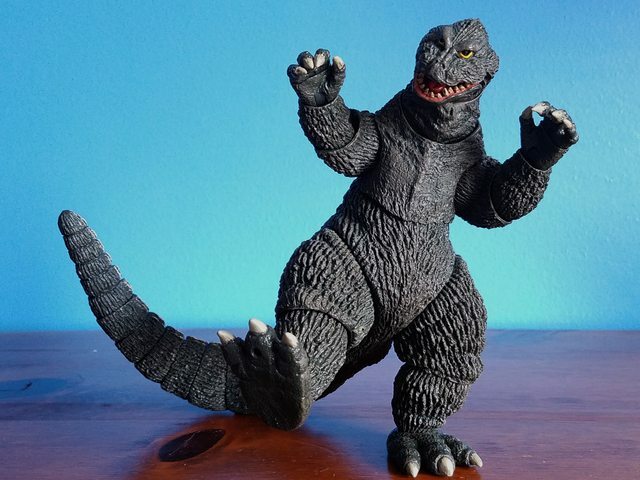 I had to go four states over to find him, but Godzilla 62 is FINALLY mine! 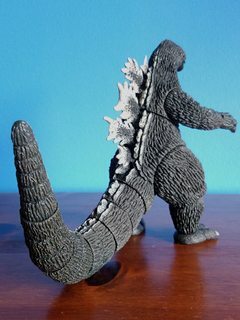 Dr Kain wrote: I had to go four states over to find him, but Godzilla 62 is FINALLY mine! 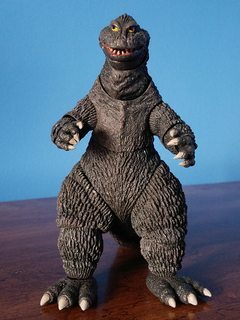 The stance - yes, Godzilla 62 can stand up straight! 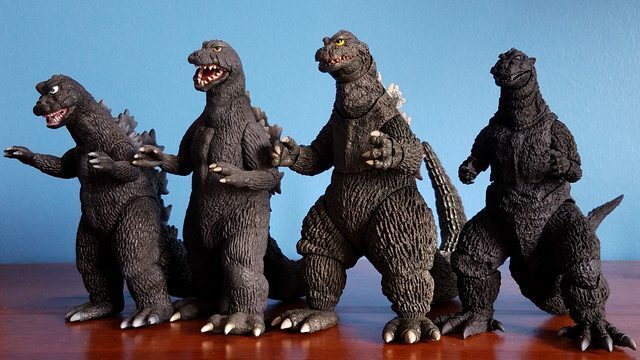 (ish) This was a peeve of mine with some of the previous Godzillas - they'd always be posed and advertised leaning over, but Godzilla spends plenty of moments erect or leaning back. Thankfully 62 stands up straight quite naturally, whereas my other two always take a little work to get posed right. 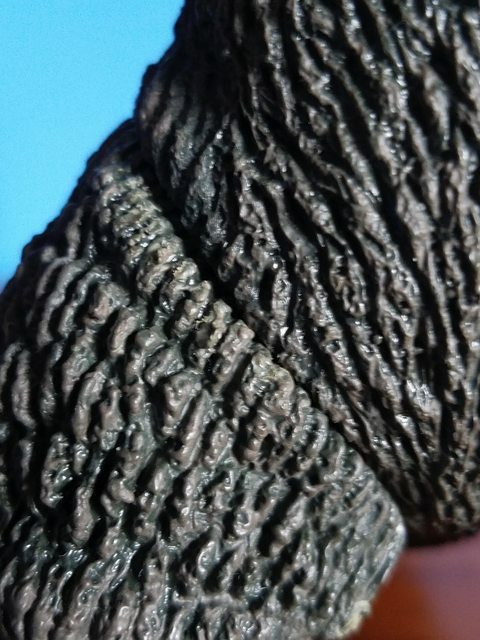 The sculpt/detail - texture and paint application is much crisper and neater than probably any previous releases. The difference between this figure and the 54 or 01 is striking. No, the sculpt isn't 100% accurate, but the two major spots I notice are the shoulders/neck and the ankles, both of which could have been compromised merely for the sake of articulation. As it is, the figure still looks splendid alongside many other figures in my collection. The tail - oh, the tail is lovely. Right out of the box, it was ready to move and pose, and while I could nitpick that just even a couple more joints would have made it even better, as it is it's still very good, and a huge improvement over the wire tails. I think the tail sculpt also helps in fixing the stance of the figure (01 is partially stuck leaning over due to the first tail joint). The breath effect - this is a pretty nice piece, and it fits easily into the socket at the back of the mouth. 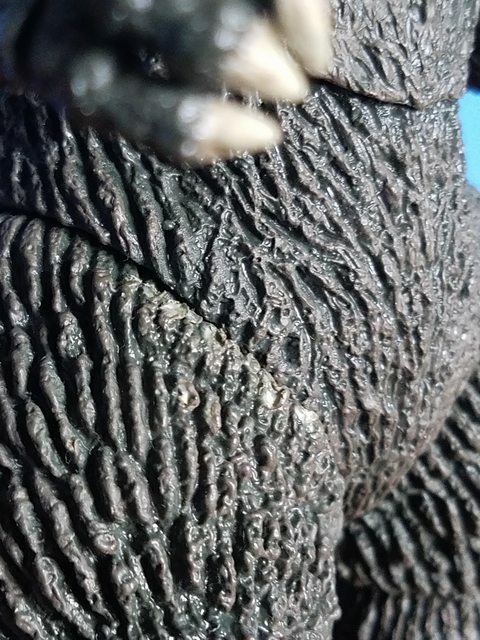 Admittedly, it's a bit heavy for the head - even if one "locks" the head by leaning it back into the joint - so some extra support is advised, and hopefully NECA can work on improvements for future releases. 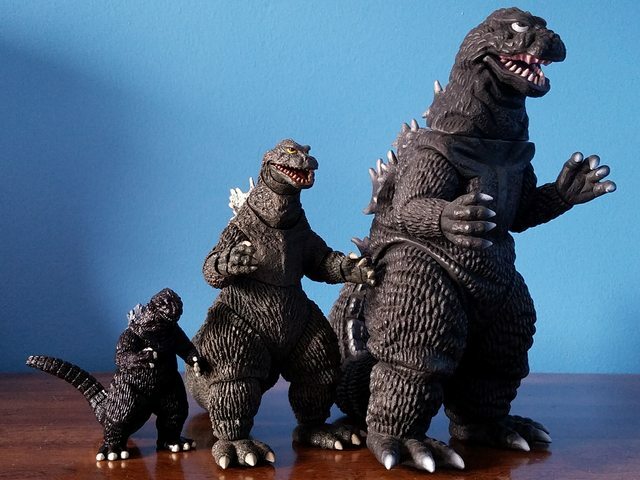 I'd say this is the biggest classic Godzilla so far - he's just a bit taller than 54, a bit heavier than 01, and overall longer and more massive than either. Maybe Shin would beat him? He's pretty sizeable, anyway. The hips - while most of the articulation of the figure is the same as past releases, I was taken aback to find that the hip joints only seem capable of swiveling - and only swiveling forward. I'm guessing this is just a byproduct of the figure's bulk, but it's still disappointing and I feel it's somewhat restricting. The hips are pivotal (ha ha) in posing a figure right, in my opinion. The jaw - this one is no surprise; the jaw opens awkwardly and it feels a bit flimsier than the rest of the figure. 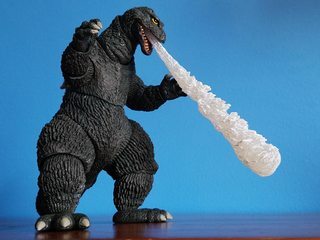 I get that it's probably designed this way for the breath effect, but hopefully future figures can engineer the jaw more naturally while still leaving space for the effect piece. As an aside, be careful when testing your figure after heating - I think I actually damaged some details while testing the hip joints. It's not as obvious from the photos, but you can probably see it right at the edge. All in all, this is a VERY good figure that I think tops most or all of NECA's prior classic releases easily. I have a few minor qualms with it, but it's well worth the $25-30 it typically sells for. I'm feeling optimistic for the future of this line! 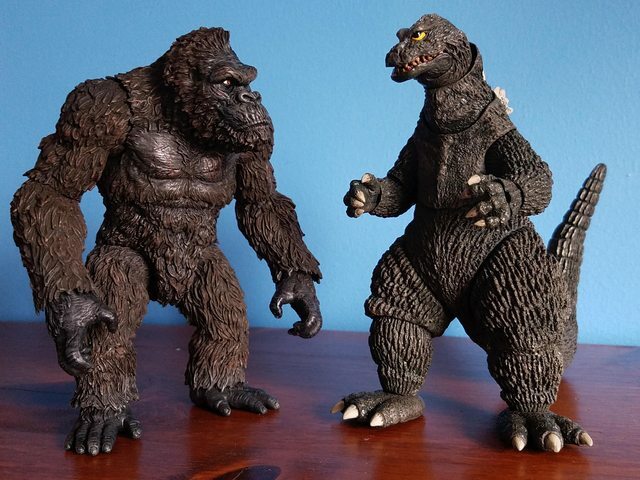 The Mezco Kong is a bit large, I think, in comparison to Godzilla, but still close enough that they look pretty good together. I especially like that big '62 you have! I know Medicom offered that, but who made it originally? lhb412 wrote: I especially like that big '62 you have! I know Medicom offered that, but who made it originally? Looks like the Marmit model kit. They’ve made several Toho kaiju in that style. They often sell them as both full kits that need to be assembled and painted as well as prebuilt/prepainted versions that are done very much in the style of their regular vinyl toys. Yeah, it's a Marmit; I saw it labeled as a "Semi-Real" figure. I found it on eBay for under $40 a few years ago, so I jumped on it. I wish Medicom had released more of these figures; I've seen pics of Marmit's other build-up figures and there are some real beauties that I would be all over for the right price. Thanks for the compliment on the pics! I always like to get a variety of angles and poses when photographing my figures, especially if I share them for other's reference. Even with certain limitations of the design, the figure is pretty expressive. I'd be really excited to see what this sculptor could do with some of the later Showa suits. I agree with your review. The jaw looks odd at the sides, especially when you open the mouth. And the hips on mine are super tight. The right leg has more motion than the left. But otherwise, it's a great figure and I feel, a step in the right direction for NECA.